That's not a carbon fiber bike and it doesn't have fancy shifters. In fact, I bet it's decades old. 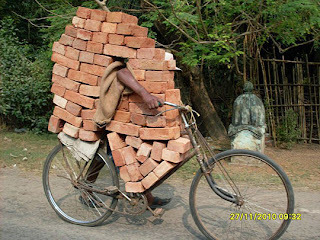 Still faithfully carrying a ton of bricks, though. What's all this about "work?"